I did my first hike of the year last week. 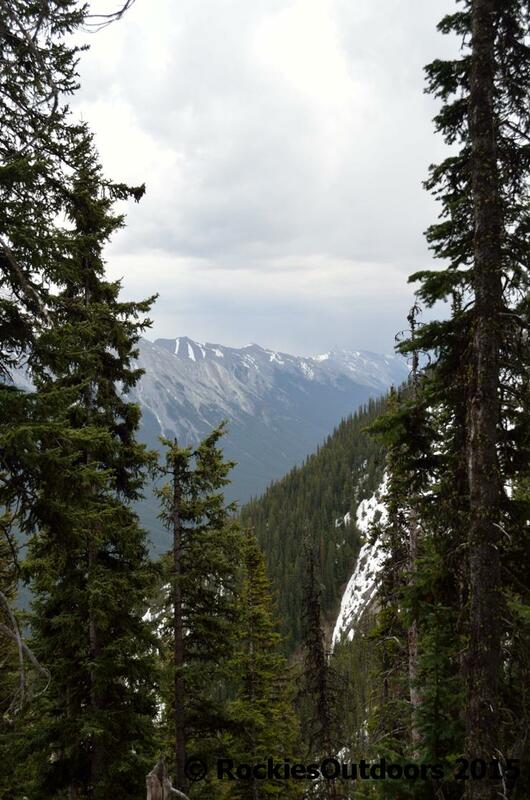 I hiked up Sulphur Mountain in Banff National Park, it’s not an incredibly long hike, bu the elevation change is fairly significant and the views from the top are great. 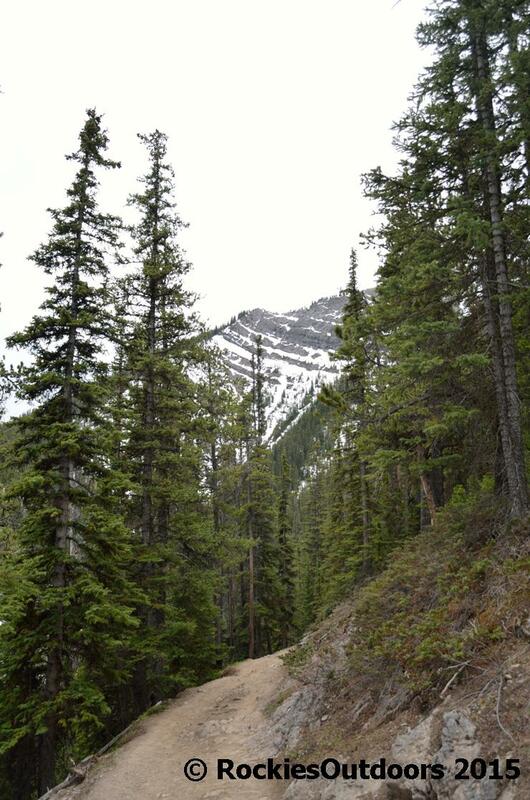 Though I’ve hiked this trail before, this time I started at the Banff Springs Hotel. 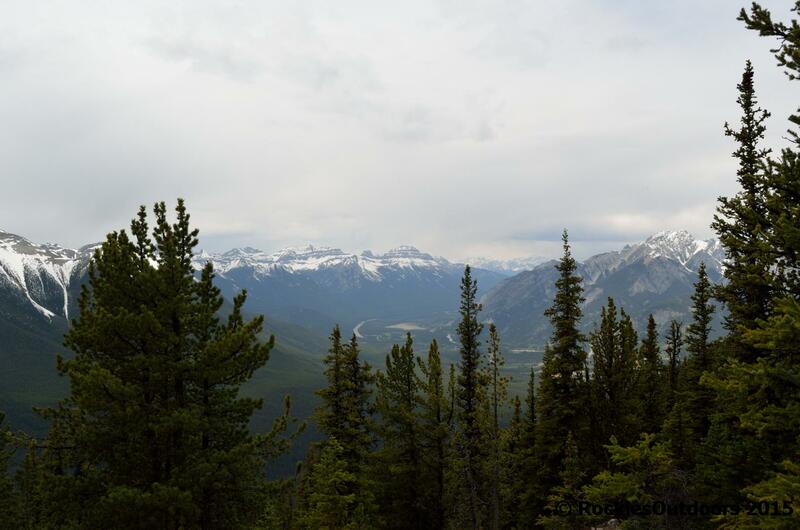 I followed the trail through the forest at the back of the Banff Springs Hotel, and made my way up towards the Rimrock Hotel and the parking lot for the Sulphur Mountain Gondola. On reaching the parking lot I went to the trailhead in the parking lot, where most people start the hike. 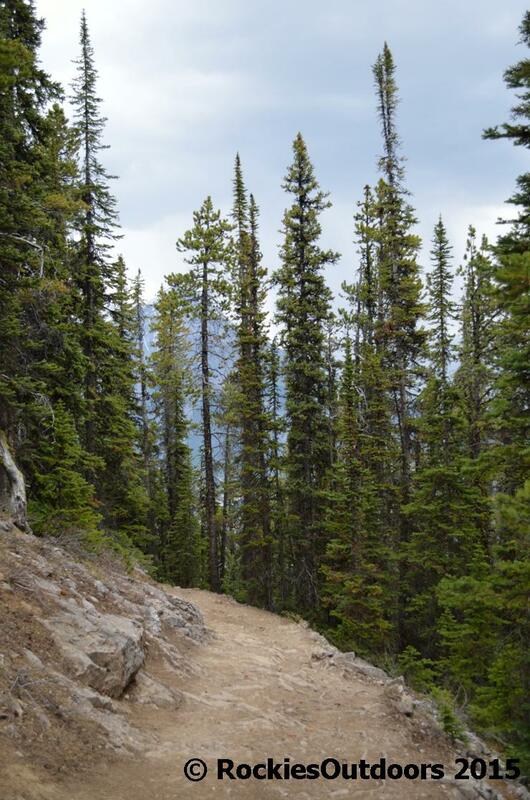 The elevation of Sulphur Mountain does mean that you’ll be hiking mostly through trees, however this was welcome as it was a pretty hot day and the shade under the trees gave some relief from this! 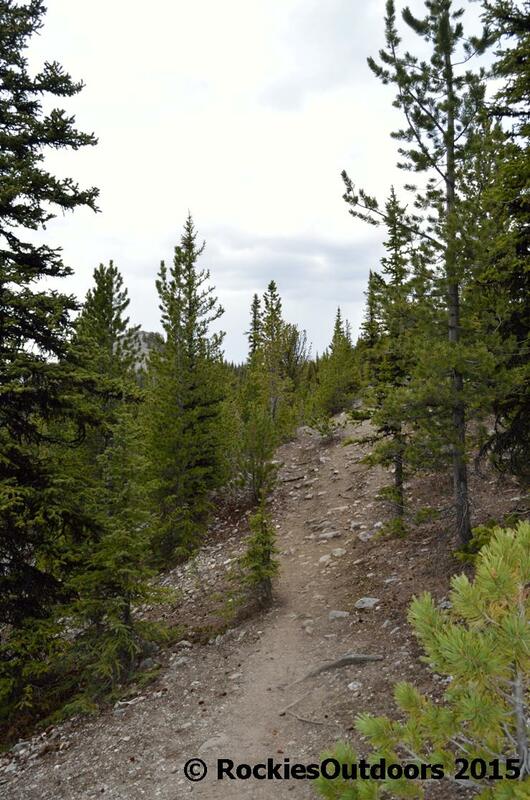 Following the switchbacks along the way, the trail really starts to climb. If you’re worried you might not get to see any of those views, don’t. 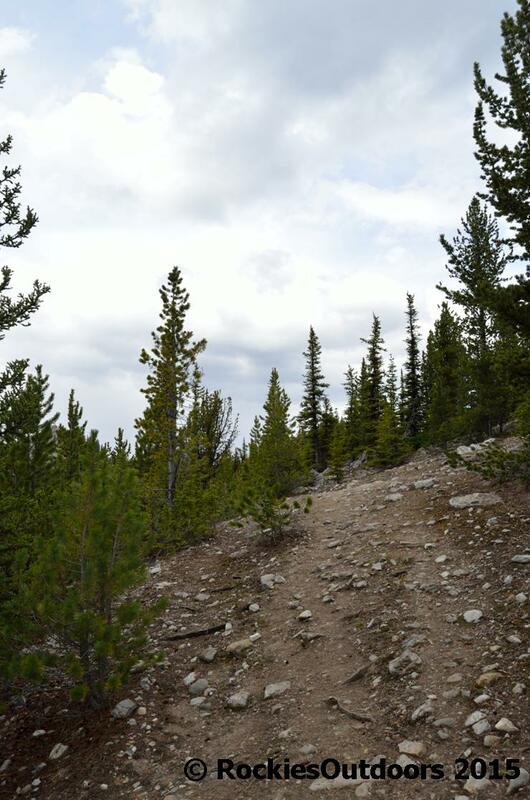 The trail will cross underneath the gondola line where there are clear view over to Mount Rundle and the Bow Valley. 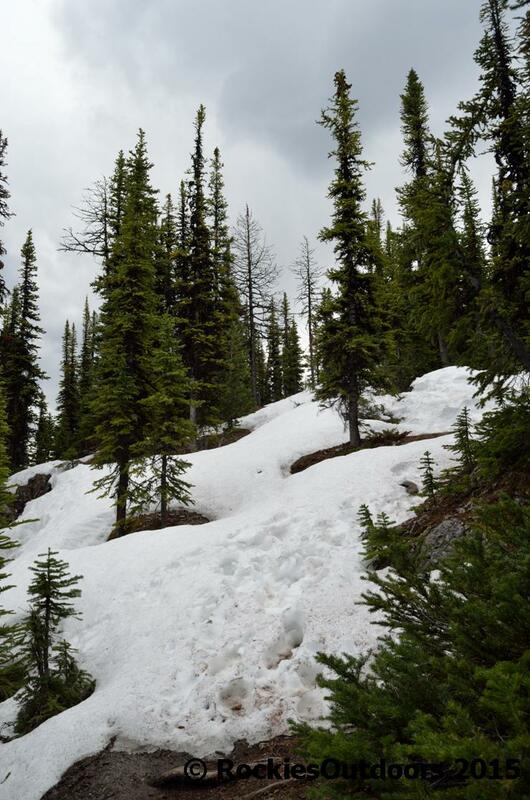 Nearing the top of the trail, the path became a little wetter and there were a couple of patches of snow still remaining. On reaching the top of the gondola station, I went and followed the boardwalk to the top of Sanson’s Peak, but you can read more about that part of the trail here and here. After this I came back down to the top of the trail, and proceeded a little way along the ridgeline away from the busy gondola area. 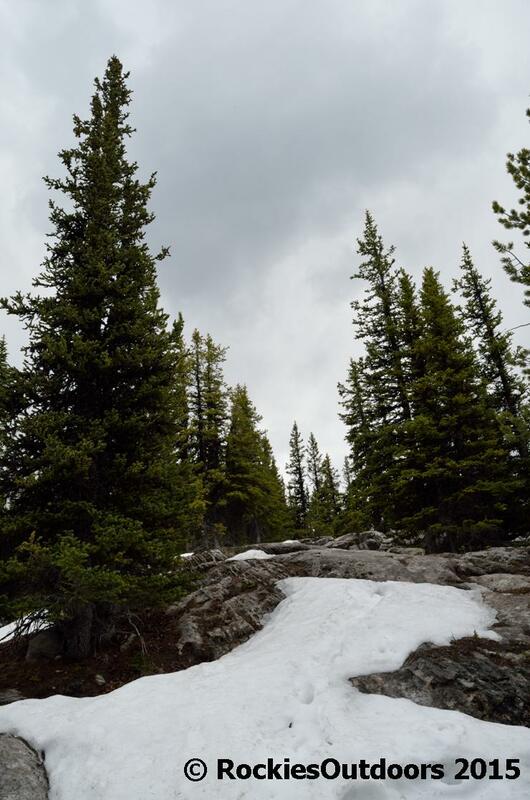 I could have gone a little further than I did, but there was still a fairly significant amount of snow on the ground. Instead I stopped and enjoyed the views…and my lunch in the calm away from the gondola station. To get back down I followed the same trail I took up to the top. 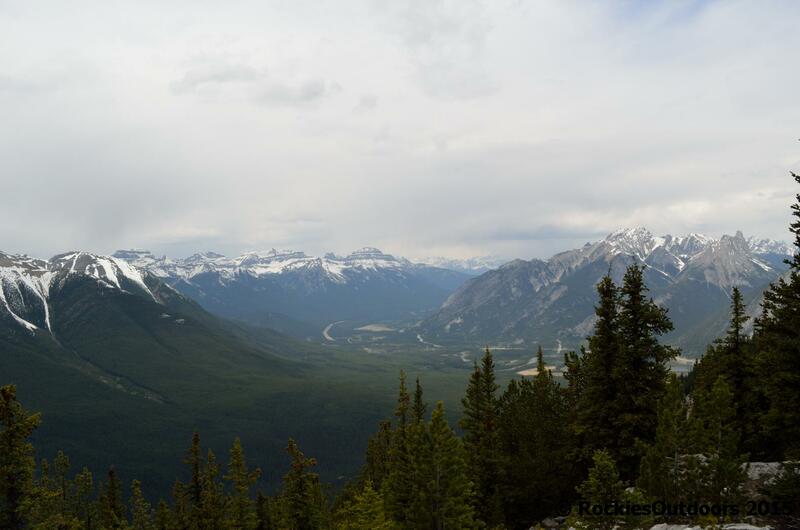 In total the return distance from the Banff Springs Hotel is approximately 14.6 km (9 miles) and an elevation gain of 856 metres (2800 feet). 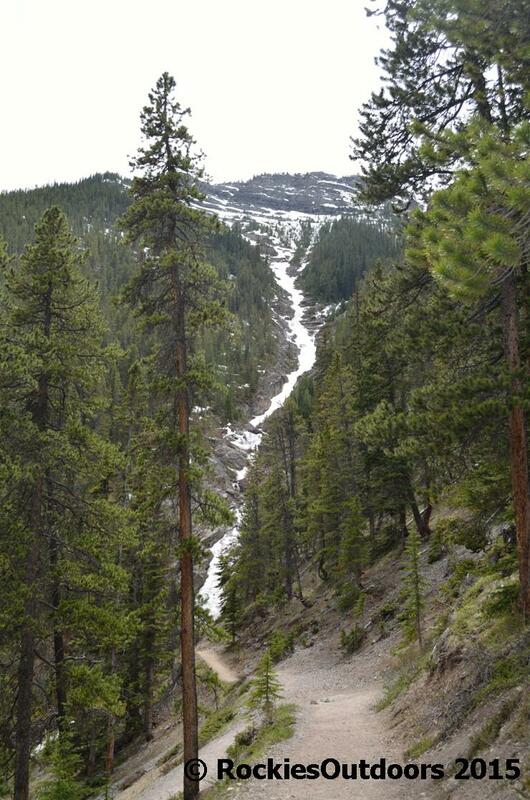 A great place to hike isn’t it. 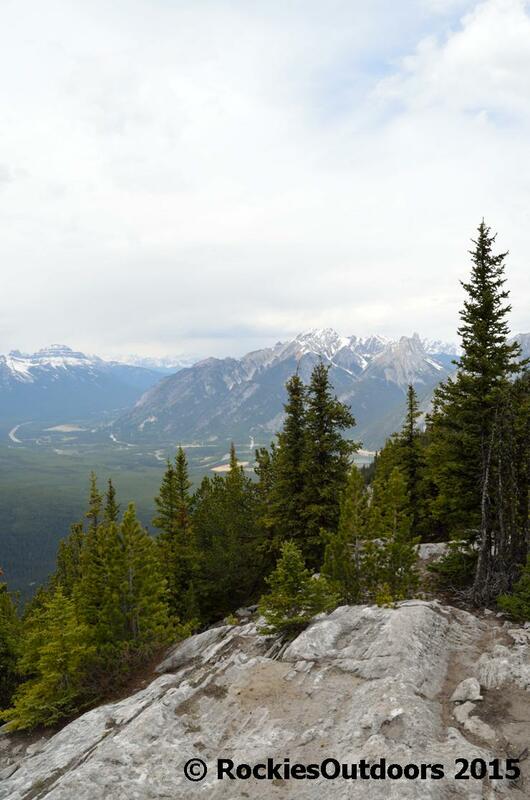 Amazingly enough, I climbed Sulphur mountain last Wednesday and was just about to post about the hike, including some very similar pictures. We might bump into each other one of these times. Oh, I need to get back out west! Amazing views!